Lately, I’ve been buying a big 1-kilogram carton of cherry tomatoes every week. And every week, I go through the entire thing, minus 20 little tomatoes or so. And since week-old tomatoes don’t compare to fresh ones, I’ve been accumulating little cups of wrinkling cherry tomatoes in my fridge. What to do? I turned them into a jam. While the concept of tomato jam may sound a bit strange, since most jams are made with fruit, it’s actually quite good when done correctly. Some of my favorite breakfast places, including LovEat, serve cherry tomato jam. Plus, tomatoes are indeed fruit. 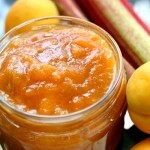 This jam is great warm, and quick to make — I made it while preparing an omelet for brunch. The whole cherry tomatoes come out wonderfully spreadable. Put the whole tomatoes, the sugar and the water into a thick pot, and bring to a boil until the liquids reach 105 degrees Celsius (220 degrees Fahrenheit) — bringing the sugar to this temperature, known as “thread stage,” is part of what gives jam its thick texture. You can either use a thermometer, which I usually do, or look at the bubbles — you should see that they’re moving a bit more slowly through the liquid, because the liquid is getting thicker and stickier. Add the spices, and let the mixture continue to cook until the tomatoes are soft and well-wrinkled and jam has boiled down to the desired thickness. Put into clean jars. I usually douse my jars in boiling water, and then refrigerate the jam. If you want your jam to last for, say, years, you’ll need to properly can it. 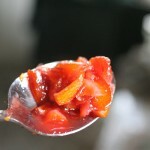 You can find a discussion about making jam, and how to can it, here, at Dorie Greenspan’s blog. You can find the updated USDA guide to home canning here. 11 Responses to "Cherry tomato jam"
tomato jam doesn’t sound stranger than apple ketchup 😉 which I’m still trying to figure what to do with. How did you wind up with apple ketchup? And what ARE you doing with it? It sounded interesting.. it’s supposed to be used like regular ketchup, but I haven’t gotten used to the idea yet. I have made your recipe twice and guests devour it! 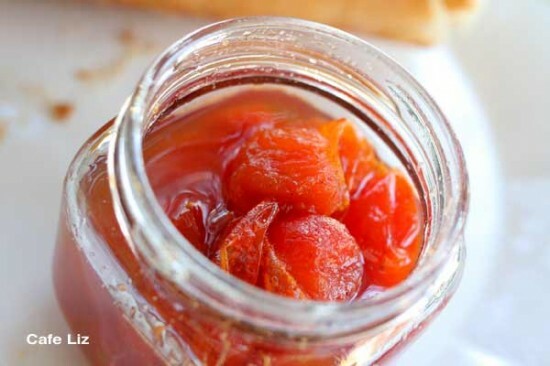 The cherry tomato jam is a wonderfully savory yet ever-so-slightly exotic and sweet (clove/cinnamon) spread that is perfect on toasted crostini or appetizer-sized rye bread. 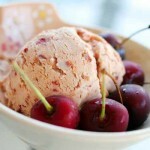 The chunky texture and deep red hue is eye-pleasing. I served it alongside a delcious avocado spread – not guacamole, but a tasty mix of roasted garlic, soy sauce, tobasco, lemon, and onion salt. This is also a crowd-pleaser. Two great appetizers! Thanks, Naomi! It’s always great to hear that my recipes work for other people. Avocado with roasted garlic and soy sauce — that sounds like a good, creative idea! In case anyone makes the avocado spread, the soy sauce is a salting agent and slight taste, so only small amount, same with the tobasco. The roasted garlic is fabulou with the avocado. I believe 300 grams is equal to about 1 3/4 to 2 cups or 2/3 pound. My great aunt use to make Tomato jam when I was a child and I have been trying to find a good recipe for Tomato jam. Your recipe looks great cannot wait to try it.